Engineered resins are thermoplastics that are specifically blended to exhibit enhanced characteristics not found in commodity resins. They provide an alternative to the implementation of challenging technical applications. They are typically used as a replacement for wood or metal to reduce costs but maintain performance. Due to their specific purpose, virtually all products manufactured with engineered resins will have better mechanical, thermal, or electronic enhancements over standard plastic resins. They are often designed to be resistant to high temperatures, wear, and corrosives. Because of these enhanced characteristics, they are used in demanding markets like the military, aerospace, medical, automotive, and industrial industries. Unlike engineering plastics, commodity resins are used for mass-produced, everyday consumer goods. They are found in products like clothing, food and beverage containers, and even toys. 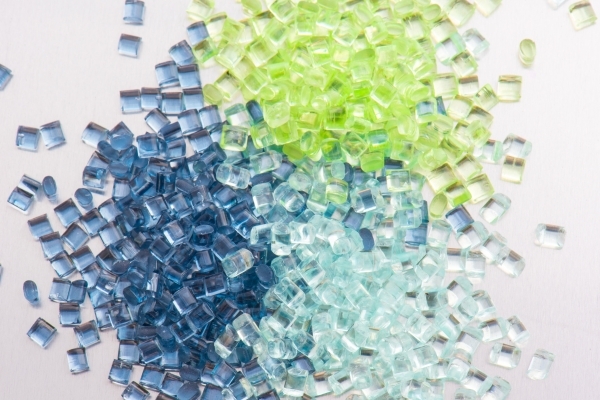 Because they are used for consumer goods, commodity resins tend to be cheaper. Engineered thermoplastics, on the other hand, are specialized for plastic injection molding production that needs a high performance resin selection to function in harsh conditions. Though they are most costly, they provide greater strength and durability. Acetyl: Also known as polyoxymethylene (POM), acetyl is an engineering resin that is often used for springs, bearings, and valve parts. It is strong and resistant to chemicals but has a poor resistance to acids. PBT: Also known as polybutylene terephthalate, PBT is a synthetic, semi-crystalline engineered thermoplastic that is common in electrical, electronic and automotive components. It is a high-performance material that is resistant to environmental changes and blocks UV radiation. PBT / PET: This blend of polyester materials is commonly used for structural parts, housings, and automotive components. It has a high stiffness-to-weight ratio and comes in both medical and UV-resistant grades. PET: Polyethylene terephthalate is the most commonly used thermoplastic polymer in the world. As an engineered resin, it is combined with other materials to improve its strength. It is often used in infant products, sterilizer lids, and dishwasher parts. Polycarbonate: Polycarbonate is commonly used for plastic lenses in eyewear, in medical devices, automotive components, protective gear, greenhouses, digital discs (CDS, DVDs, Blu-Rays), and exterior lighting fixtures. PEEK: Polyether ether ketone is a high-performance engineering plastic that is best known for its chemical resistance. It is frequently used in the medical and healthcare fields because of its sterilizability and strength. PEI: Polyether imide is known for its flame retardant and good chemical resistance, and it works great as a metal replacement. It is frequently found in the medical and healthcare industries, as well as the automotive and aerospace industries. PES / PSU: Polyethersulfone or polysulfone offers high strength, acid resistance, and thermal stability. Because of its heat resistance and increased strength, it offers many benefits for high-quality engineering parts. They are found in food service, medical and healthcare, and engineering applications. PPE: Polyphenylene Ether has excellent electrical properties, making it ideal for many automotive, electrical, and industrial applications. It also has very low moisture absorption, allowing it to function in a wide range of humidity and temperature conditions. Nylon: Polyamide, more commonly known as nylon, is a popular engineering metal because of its durability and excellent mechanical, chemical, and thermal properties. As an engineered plastic resin, it is often used for metal replacement, connectors, and bushings. PPS: Polyphenylene sulfide offers high temperature and chemical resistance, as well as great electrical conductivity properties. It is frequently used as a replacement for metal in automotive, medical, engineering, and electrical applications. TPE: Thermoplastic elastomers have similar properties to rubber, but are processed like a plastic, offering unique benefits over other engineered resins. TPEs are very flexible and can be stretched to twice their original length and still return to the original shape. They are often used for HVAC systems, appliances, and automotive applications. TPU: Thermoplastic polyurethane has high elasticity and abrasion resistance, and it is also resistant to oil and grease. For these reasons, TPU is frequently used in automotive applications, sporting goods, power tools, and medical devices. Teflon: Polytetrafluorethylene, more commonly known as Teflon, is a fluoropolymer that is most closely associated with its use in nonstick cookware. It is often used as a lubricant for machinery, reducing friction, wear, and energy consumption. It also has many aerospace and computer applications. TPR: Also known as thermoplastic rubber, TPR is a mixture of materials, usually rubber and a plastic. Similar to TPE, thermoplastic rubber offers the characteristics of both materials that are mixed together. It is typically used for gaskets, cable jacketing, and automotive applications, among many others. Lomont offers complete engineering and design services, specializing in plastic molding. We are dedicated to providing the highest quality products and services for our customers. If you have any questions, please contact us. Our engineering experts can help you find the right material for your molding applications.